A results-driven human resources leader, Kendra develops and implements talent solutions that fuel company strategy and enhance organizational effectiveness. She draws from her background in business management and over 20 years in top HR roles at technology, professional services and nonprofit organizations to optimize human resources in regional, national and global environments. Kendra has expertise in organizational design, change management, M&A integration, large-scale HR project management, internal communications, management training and leadership development. With a collaborative and energized style, she brings trusted business partnership and a fresh perspective that aligns talent, business and culture. Kendra is a certified Senior Professional in Human Resources (SPHR), certified DiSC® facilitator, and Senior Certified Professional through the Society for Human Resources Management (SHRM-SCP). She has a BSBA from the University of Denver. 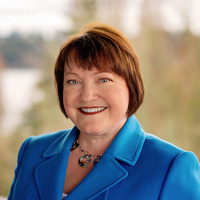 She is an instructor with Lake Washington Technical College’s Leadership Development Program and Seattle Jobs Initiative/South Seattle Community College’s workforce readiness initiative.